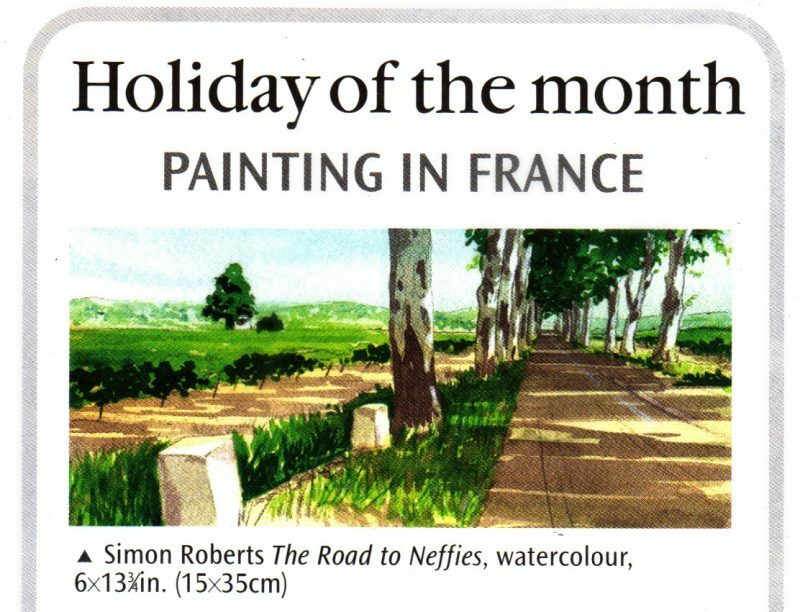 Excellent news to see that we’ve made ‘Holiday of the month’ in the summer edition of Leisure Painter magazine and we’ve already had bookings through this – Thank you Leisure Painter! 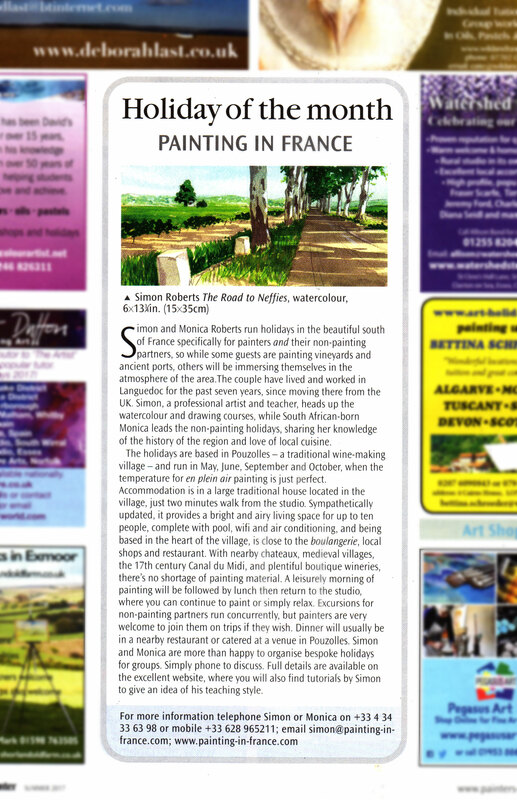 The next weeks for our Painting holidays in France are in September, just after the main heat of the summer has eased. The dates are 9th – 16th September and 23rd – 30th September. Get in touch if you’d like to know more about the exciting itineraries and availability.